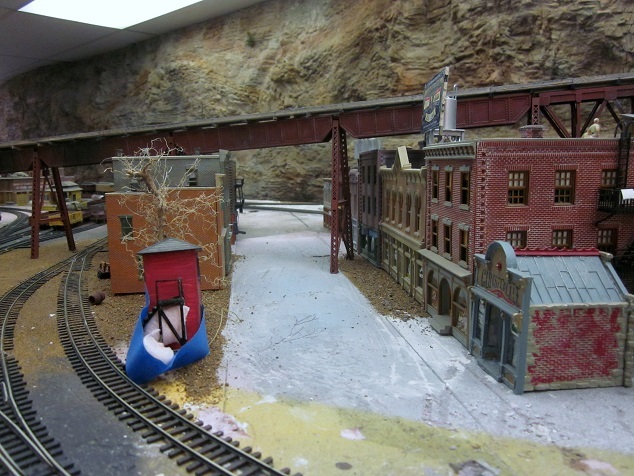 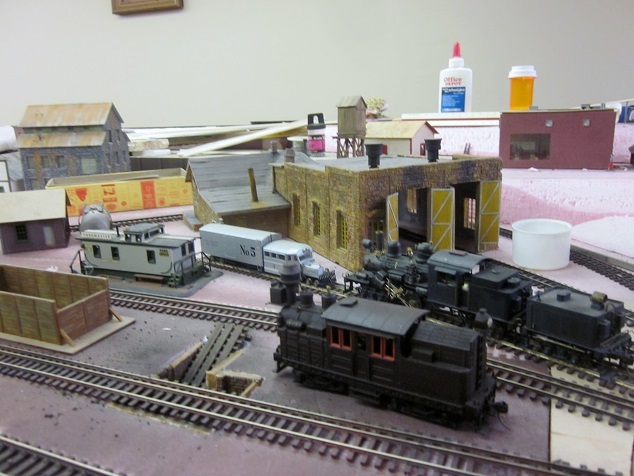 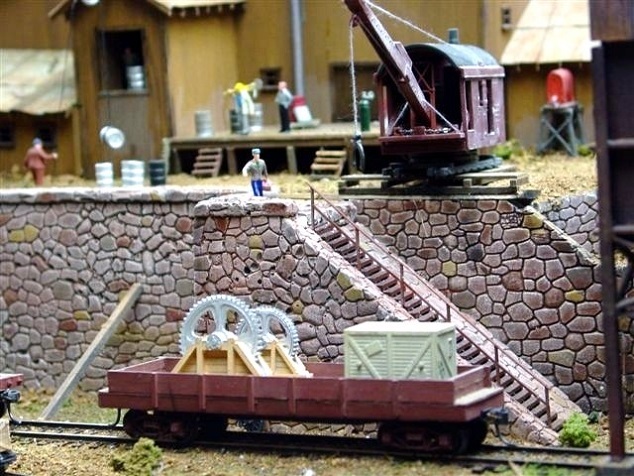 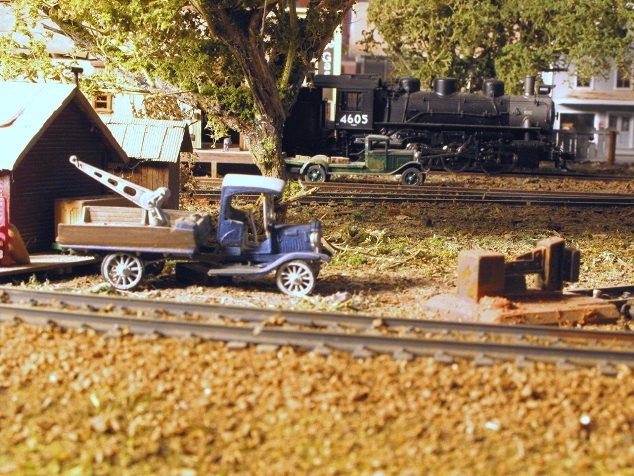 Here are a few pictures of Lynn Draper's layout (Fallen Flag). 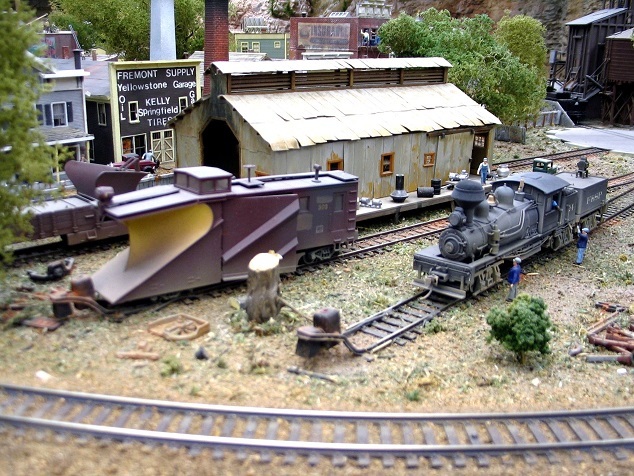 Fremont and South Park Railroad. 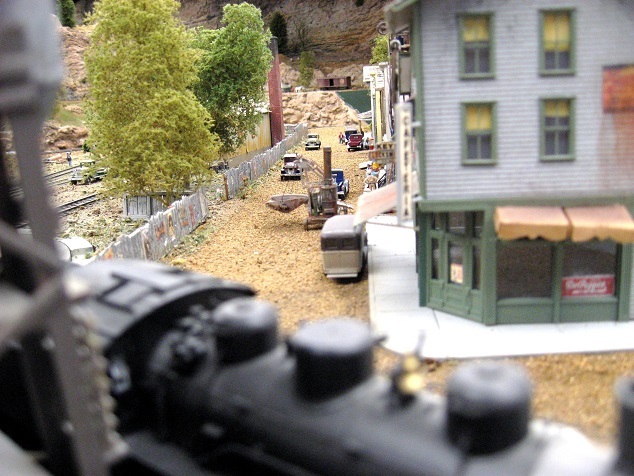 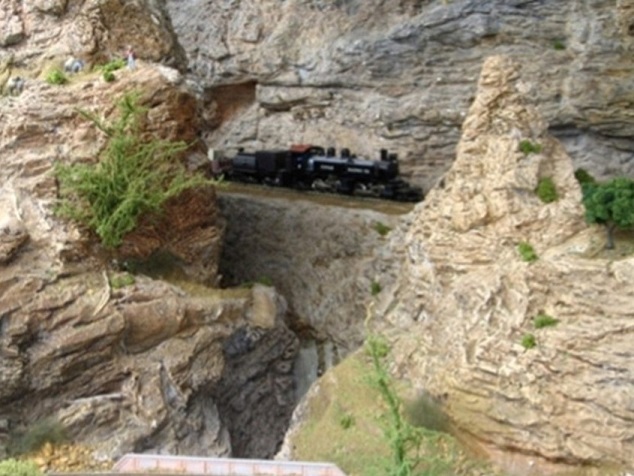 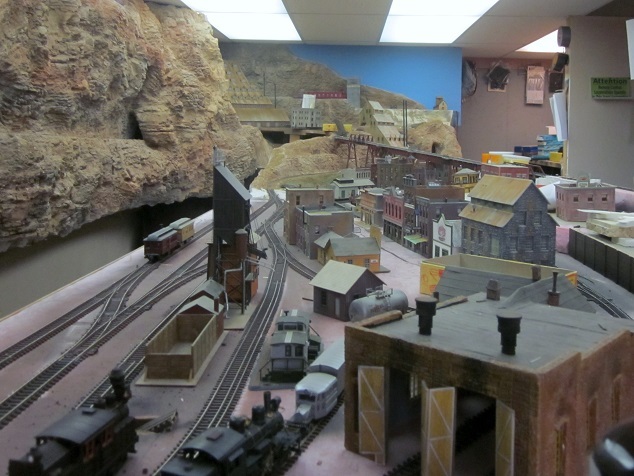 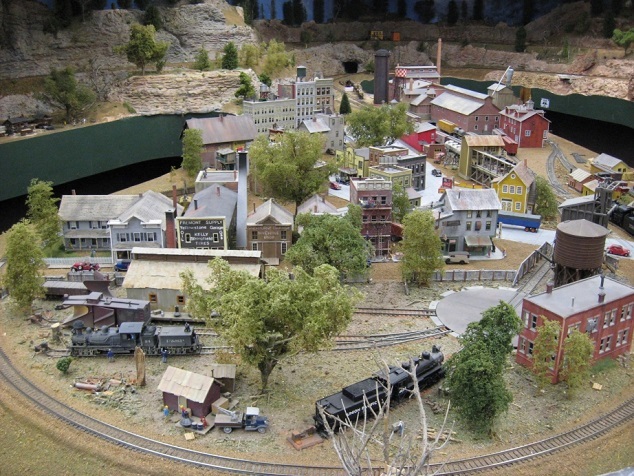 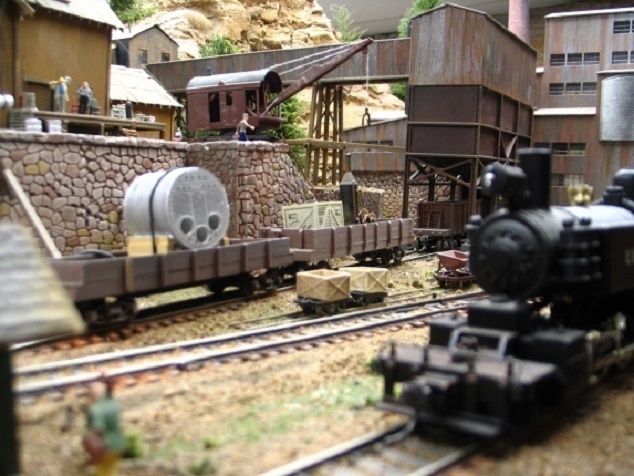 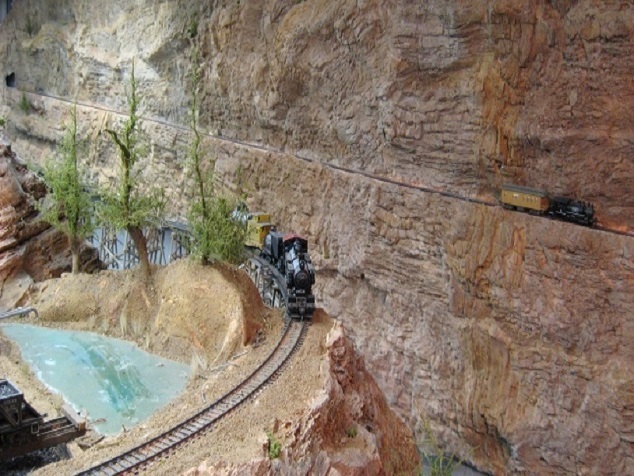 The Fremont and South Park is a fictional railroad set in the Colorado Rock Mountains during the 1940s. 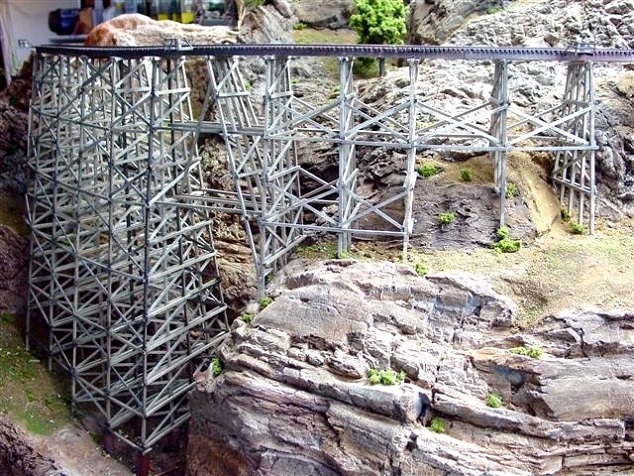 Its 200' HO mainline winds through canyons, over rivers and across a three-foot high wooden trestle. 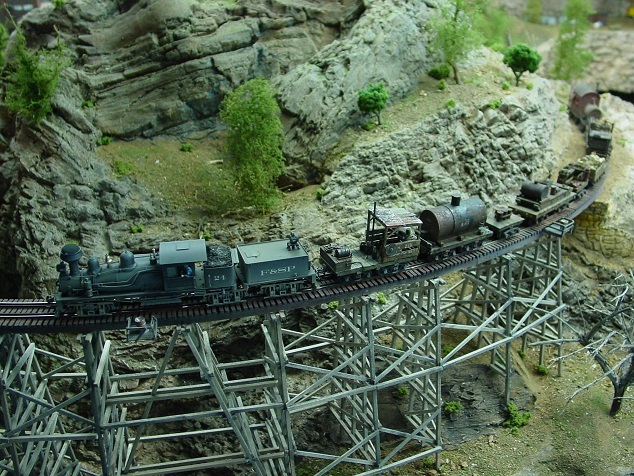 The F & SP connects to the rest of the world through an interchange with the Union Pacific Railroad. 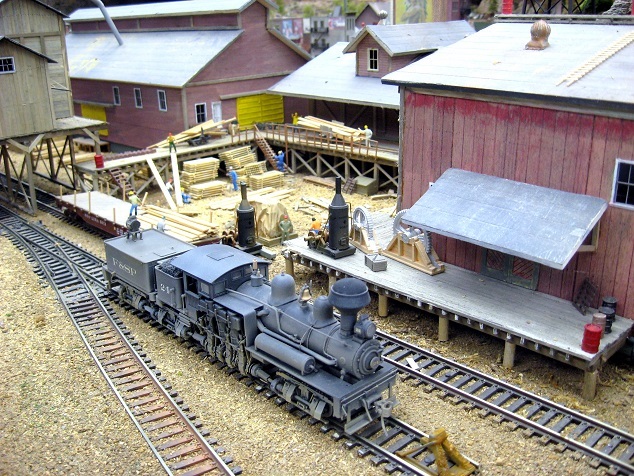 The main town of Fremont boasts a lumber mill. 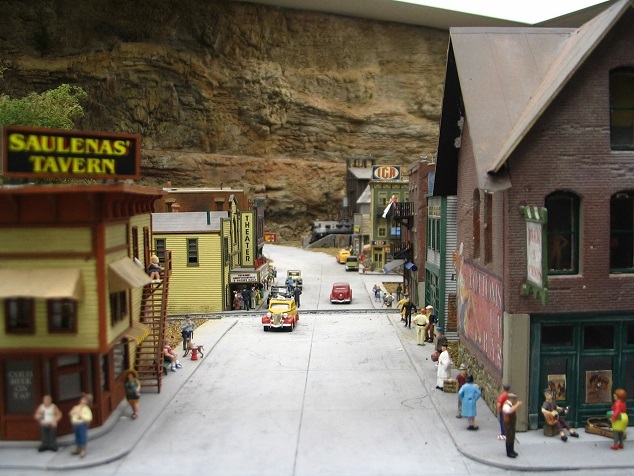 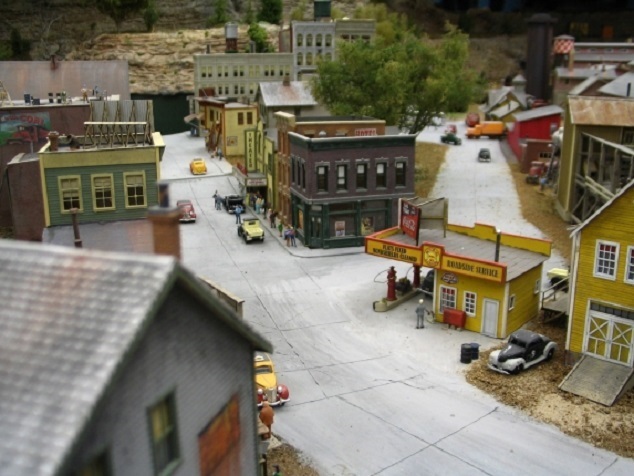 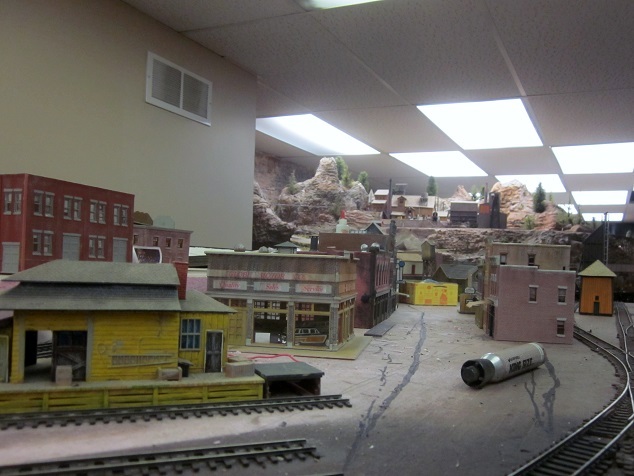 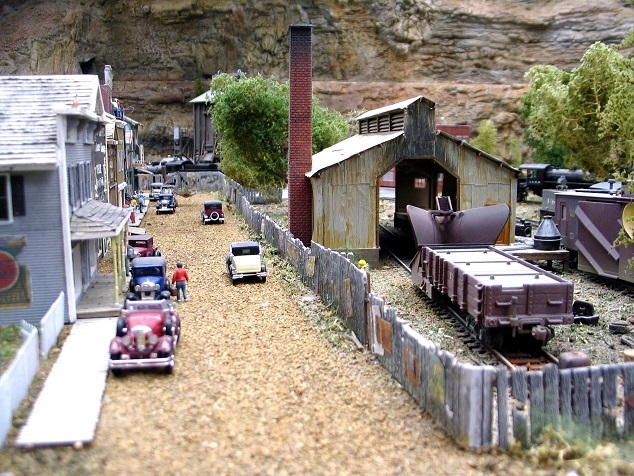 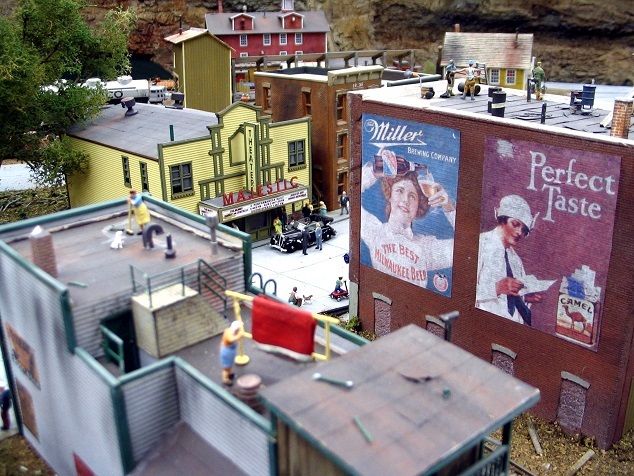 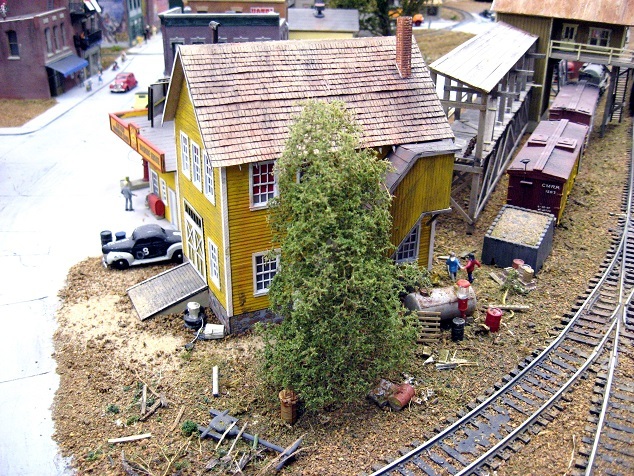 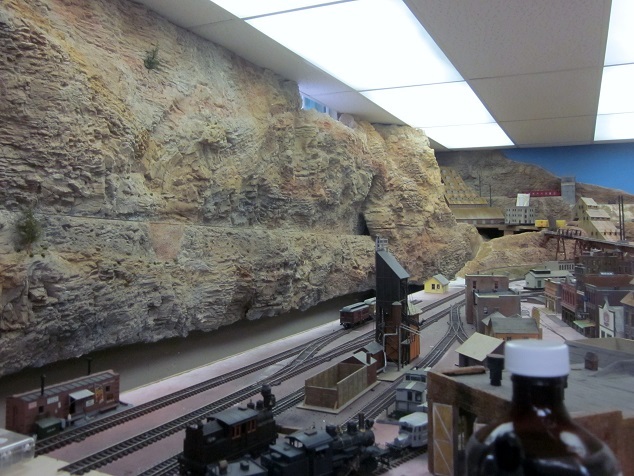 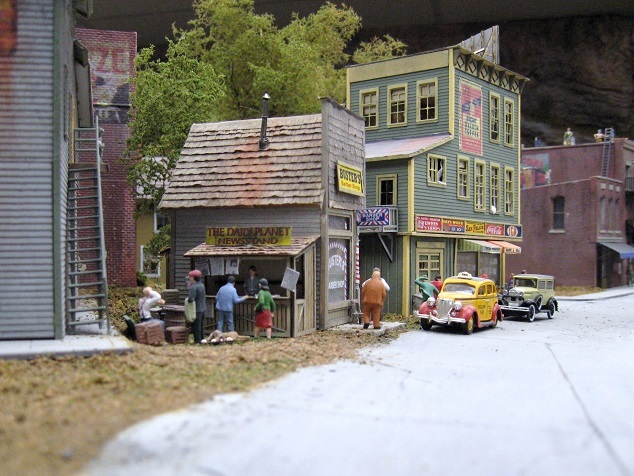 The town itself takes up a 5' x 12' peninsula in the center of the layout room. 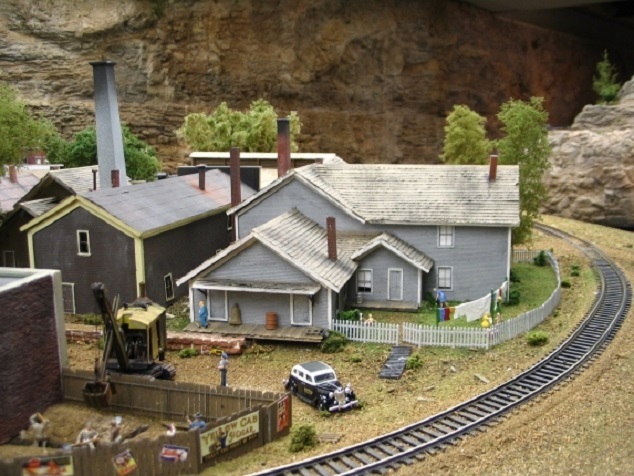 The layout is super detailed museum quality with many individual scenes. 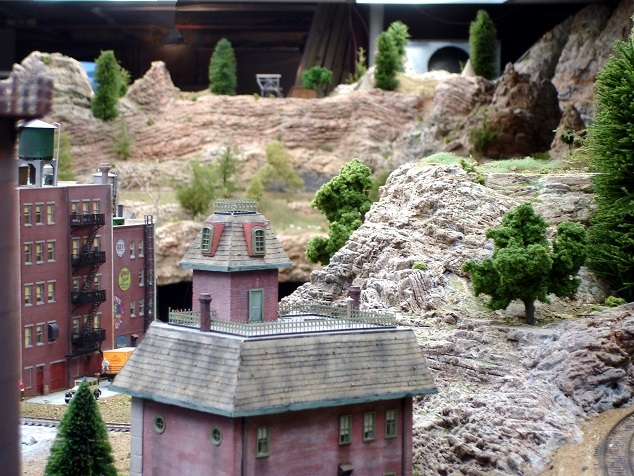 Buildings include scratch built, kit-bashed, and kits from many manufactures. 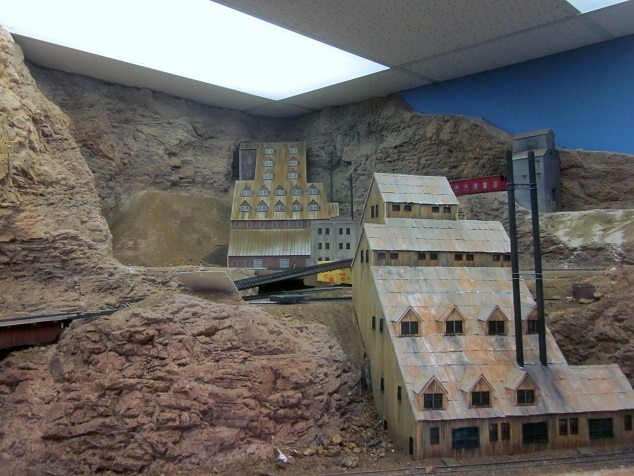 There is close to a ton (2,000 pounds) of plaster in the mountains that surround Fremont and South Park. 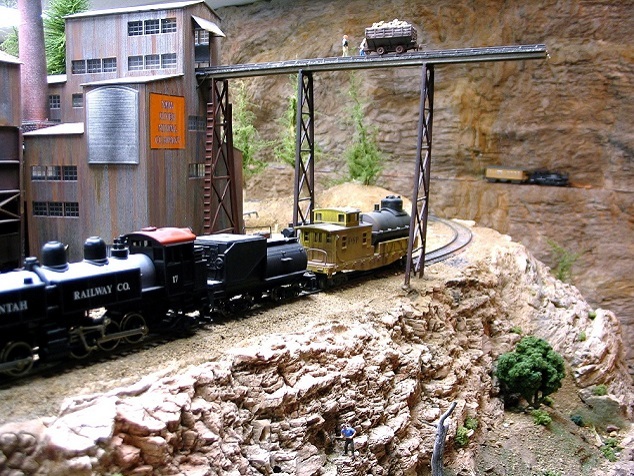 The Jenny Lee Mine operates high in the mountains above Fremont and is serviced by a mainline siding. 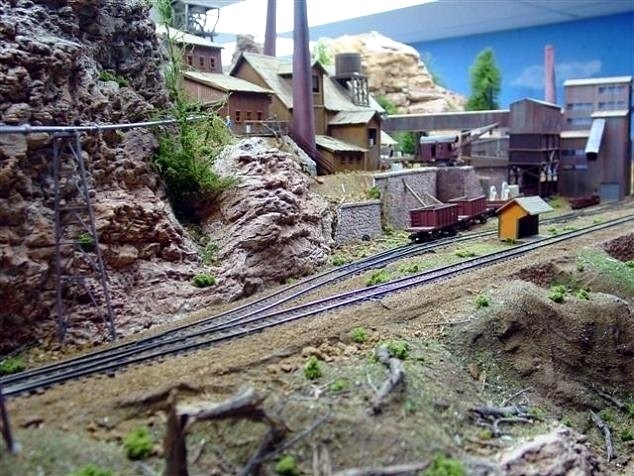 A 35' long four foot high mountain ledge connects a second peninsula containing a large thriving mining community that includes two stamp mills. 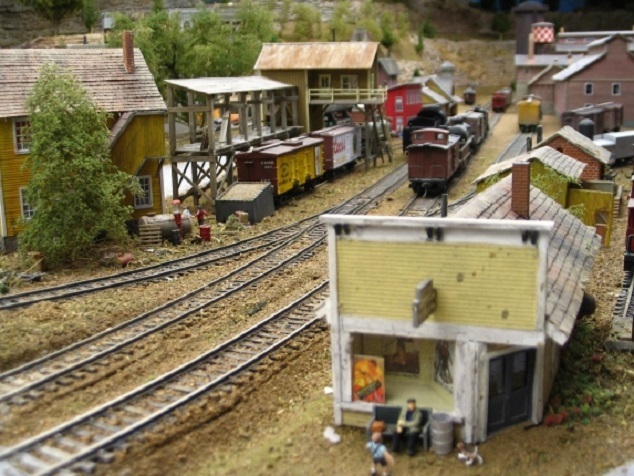 There is also a logging community in the mountains above this town.